In a creative effort to encourage shoppers to clean up their daily beauty routines, Whole Foods Market recently announced its inaugural Better Beauty Swap to take place at just five store locations in New York City, Chicago, Philadelphia, San Francisco, and Los Angeles. Inspired by Whole Foods’ annual Beauty Week promotion, beauty and body care products will be 25% off in store — with an additional 10% discount for Prime members — March 27 to April 2. 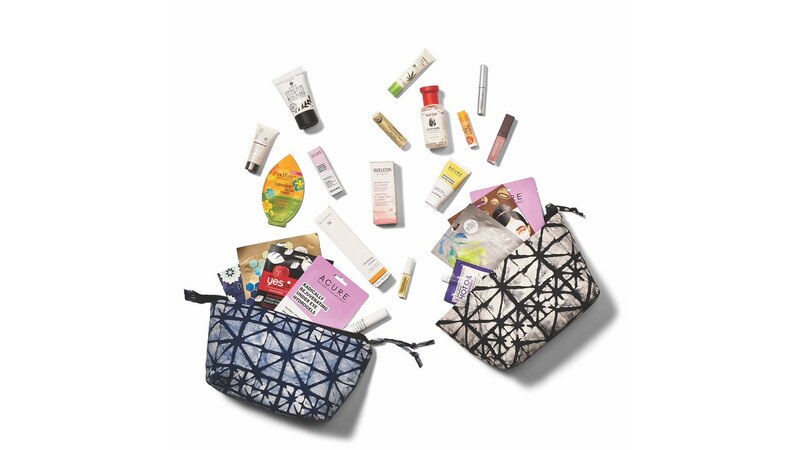 The first 200 lucky customers to bring an empty beauty and/or body care product for the in-store swap on March 30 will have the opportunity to exchange it for a free Beauty Bag, valued at more than $100 and full of clean beauty products. For those who miss it, the limited-edition gift bags will be sold in-store for $20. This timely initiative follows the recent consumer trend of paying closer attention to product ingredients and labels, with an aim to help shoppers better understand the contents of the products they’re investing in. By initiatives including listing more than 100 ingredients that are unacceptable for its products including parabens, microbeads and triclosan, Whole Foods is committed to grow in transparency and authenticity when it comes to its beauty and body care line, with strict requirements in place for all the products it carries today. Similar to the company's standards for organic foods, Whole Foods has created a special Premium Body Care logo for products that meet its quality sourcing, environmental impact and safety standards. Learn more about Whole Foods Beauty Week here.